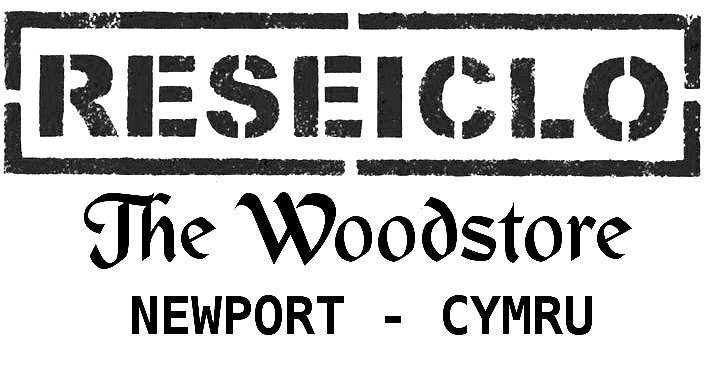 Reseiclo Community Wood Recycling was set up in 2007 as a Social Enterprize and started collecting waste wood and selling timber and wooden items from the workshop in Alderney Street in Newport, South Wales. With help and support from the National Community Wood Recycling Project in Brighton and one contract for waste collection - Taylor Woodrow (as it was before it's merger with George Wimpey to form Taylor Wimpey) and one small truck - the business has developed steadily and now collects over 800 tonnes of wood waste per year (2017). We still sell the reclaimed timber from our Alderney Street premises and we have a small shop in the historic Victorian Market Arcade. The shop opened in 2013. Here we sell some of our smaller products and can take orders for the big stuff. To contact the shop, please call 07410 700203. People at Reseiclo: We have Directors (who are also employees), employees, Volunteers and placements. At the V Awards (we didn't win anything!) 2017. The four Directors Kath Puw, Trefor Puw, Jeannette Rich and Lyndon Rich. Some of our volunteers come to us through GAVO (Gwent Association of Voluntary Organisations. We also put our volunteer vacancies on the "Volunteering Wales" Website. As a separate entity within Reseiclo, there is "Reseiclo Training". This organisation is a daycare service for Adults with Learning Disabilities. The students learn basic woodworking skills in Reseiclo's Alderney Street workshop and help out with our bespoke manufacturing activities. It gives them a real working team environment and helps to develop interpersonal and social skills too. For more details contact Mike on: 07967 525224. We aim to save as much wood waste from being sent to landfill as possible. We recycle or reuse 100% of the wood we collect. Our collection service is better value for Industry than the traditional 'Skip Hire' solution. As well as the price per cubic yard being lower, we hand-load our trucks so we can get more on! We aim to provide employment, training and volunteering opportunities for local people. We are a community minded, Social Enterprise. All surpluses generated are re-invested in our mission. If you want to volunteer, contact the office number 01633 856622, or pop down to see us. All timber and timber products sold have been collected and handmade in Newport from 100% recycled wood. The price we charge for the timber will be significantly lower than new - up to half the price of DIY stores. All of our products are unique - in the sense that no 2 items are exactly the same - we can build them to your specifications. Reseiclo Community Wood Recycling. Unit 2, Harlequin Trading Estate, Alderney Street, Newport. NP20 5NH.